For thousands of years prior to the advent of synthetic dyes, people have created vibrant colors from natural materials. Our network of farmers and artisans collect a range of local species such as black walnuts, wood from the osage orange tree, and numerous flowers for Southern Hues wraps and scarves. For an expanded range of colors, we also grow dye plants at our demonstration farm in Whites Creek, Tennessee (in Northern Davidson County) and are working to source an even greater percentage from local small farmers, including madder, Japanese indigo, woad, weld, and more! There are some great US companies that provide us with a beautiful palette of additional colors to be achieved through natural and plant dyes. 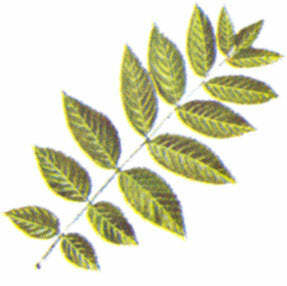 The Black (American) walnut tree is indigenous to eastern North America. The husks of the nuts from this tree render a wide spectrum of brown dye pigments. 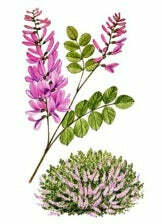 Most natural indigo comes from the Indigofera plants native to the tropics. The earliest known center for producing and processing indigo was India, where they learned to render a blue dye pigment out of the plant for dyeing textiles. 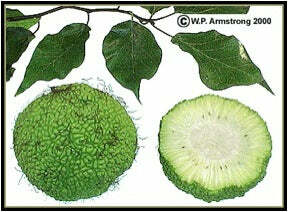 Osage orange is a fruit-bearing tree in the mulberry family that is native to an area in the central United States. A yellow-orange dye pigment is extracted from the wood of this tree to substitute for fustic and aniline dyes. 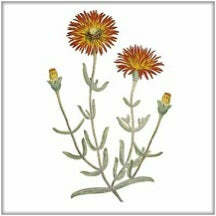 The Common Madder is a perennial plant that is native to the Old World, Africa, temperate Asia, and America. The dye is extracted from the roots of this plant and render rose madder, which is a red dye pigment. Weld is a biennial plant originating in the Middle East, North Africa, and Mediterranean areas that eventually spread to Europe. The seeds contain most of the dye, which yields a yellow pigment. The Hopi Indians in Arizona originally cultivated the Hopi dye sunflowers, and the flower’s seeds are used to render gray-lilac dye pigments. They differ from garden sunflowers in that they have hints of purple on their stems and disk flowers in the center of each head. Woad is a flowering plant native to the steppe and desert regions of Caucasus, Central Asia to eastern Siberia and western Asia. It is now cultivated in southeastern and central Europe, as well. The plant renders a blue dye pigment. Marigolds are flowering plants in the daisy family native to the area stretching from the southwestern United States through Mexico and south throughout South America. 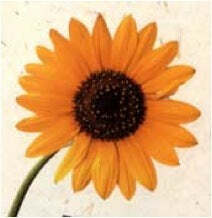 The petals of the flowers produce yellow-orange pigments. Logwood is a tree of the pea family that is native to the Yucatan peninsula and West Indies. Its heartwood is used to extract a purplish-red dye pigment. 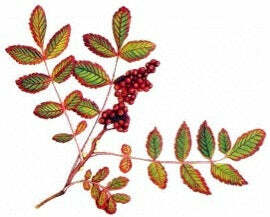 There are over 100 species of sumac shrubs and trees. Every part of the Staghorn sumac (native to eastern North America) aside from the roots can be used to extract tannic acid to improve color fastness. 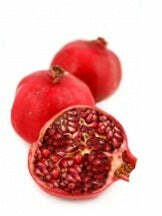 Pomegranates grow wild in India, Italy, North Africa, and China. The rind of the fruit is used to extract a deep yellow color pigment and the bark contains high amounts of tannin for color fastness. 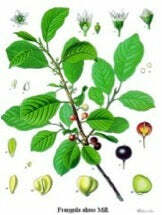 The fruit-bearing tree called Avignon Buckthorn is one species of many buckthorns that differs in that it yields Persian berries, also called Avignon berries or French berries, used to extract a yellow dye pigment. The Terminalia Chebula tree is indigenous to China and India. When mixed with the mordant, alum, myrobalan nuts render a buttery yellow dye pigment. Earth oxides are colorful pigments mined from the earth, sifted, baked, crushed to powder, and used in a solution to apply colors to cloth. Cochineal insects are scale insects that feed on cacti and produce carminic acid to deter predators. This carminic acid is the base for cochineal dye pigments that render crimson pigments. The dye was first used by Aztec and Maya peoples in Central and North America, but it was so highly valued by Europeans that it was regularly quoted in the London and Amsterdam Commodity Exchanges.